Who is this Erie Phil? Find out now. From the dissonantly colorful, exhilarating piece of musical clockwork showcased in Christopher Rouse's "Infernal Machine" to the anguish of the Virgin Mary at the cross of Jesus portrayed in Rossini's "Stabat Mater," the Erie Philharmonic covers the musical gamut in this year's symphonic concert season. The Erie Phil celebrates its 99th anniversary this year, and the remainder of this season promises to be the pinnacle of what has been nearly 100 years of celebrating the art of music. Daniel Meyer, conductor of the Philharmonic, will take core repertoire and marry it to arrangements that are a bit off the beaten path – music that will stretch the audience by offering a combination of classic and romantic orchestral works alongside 20th and 21st century compositions. "I have to pay attention to the core composers – that means Beethoven, Schubert, Vivaldi. It's music I love conducting anyway. So many of our musicians love playing that repertoire because they've spent their lives mastering it, but I'm also aware of the responsibility we have to the community and our time, so we also weave that into composers that are still alive and creating music – covering the vernacular of all great symphonic music." A small sampling of works that are showcased in the symphonic series this year include the unbridled energy heard in Vivaldi's "Four Seasons" and the spirited but stately Beethoven's "Emperor Concerto." "The 'Emperor' really pushes the Orchestra to its limits. Beethoven is famous for saying, 'I don't care if they can play the notes or not – it's what I had to write.' And this piece is a great example of that," Meyer explains. "In addition, Inon Barnatan, one of the top young pianists on the international scene right now will be performing the 'Emperor Concerto.' We just happened to grab him before he got too big for us." The concert will also feature a tribute to Richard Wagner, which will include a performance of some of the most memorable and dramatic moments from his 'Ring' cycle. "It is actually a cycle of four epic operas, but that in itself is over 26 hours of music, so we took the greatest orchestral moments and put them in a symphonic treatment that will also have a visual appeal as well." That visual appeal will be curated by Joe Wos from Pittsburgh's Toonseum [a museum that celebrates the art of cartooning], who will personally select a number of graphic artists from around the region to create imagery that will be inspired by the characters and drama of the music. The closing concert of the season will be Respighi's brilliant tone poem, the "Pines of Rome." "This piece is truly a sonic spectacular," Meyer says. "We'll be placing musicians in the rafters so that we can create a quadrophonic sound experience for the audience that will literally draw music from all over the place. It will be amazing." And although the pop series is almost sold out, a limited number of tickets can still be purchased. The remainder of the series will feature the ever-popular "Home for the Holidays" and "Simply Sinatra," which will showcase Steve Lippia, an entertainer who captures the man himself paying tribute to "Ol' Blue Eyes." The fact that the Erie Philharmonic will soon be celebrating its 100th anniversary is a feat all in itself. 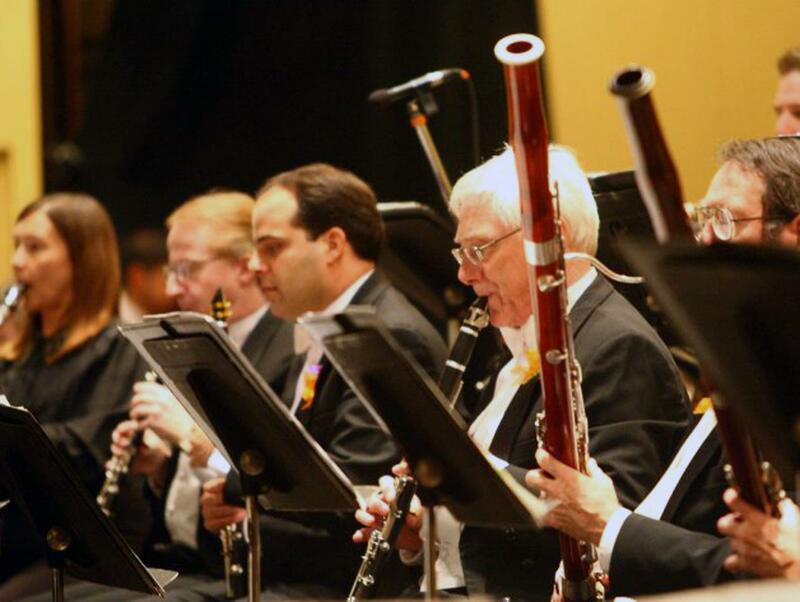 In this day and age, when funding cuts continue to debilitate arts organizations across the nation, our local symphony orchestra is not merely surviving but continuing to grow. The Pops concerts sell out nearly every year, and the music of the Symphonic concerts continues to evolve and expand. And this is a result of the success achieved and the support given over the years. For without strong advocates throughout our community, we wouldn't be able to experience the vast and arrayed programming Meyer and the Philharmonic musicians continue to perform each season. Meyer tells me, "It is my dream that our series will one day be completely sold out. This allows us to really know who is coming in our door and offers me the opportunity to learn the tastes of patrons, creating more flexibility in our programming." And with Meyer's vision and the talent on display this season that dream will eventually come true. A full listing of concerts and descriptions can be found on the Erie Philharmonic website, www.eriephil.org.